For over 20 years, Dish & Design has been tantalizing the Lowcountry palate with fresh, healthy catering options for all occasions. From small get-togethers to office lunch caterings to elegant wedding hors d’oeuvres and dinners, their quality and customer service has helped Dish & Design gain a delicious reputation around town. Owner Anja Stief personally oversees every Charleston catering event, from the early planning stages through the post-event follow-up. With no formal training in culinary arts or event planning, Stief credits her decades of success in the industry to her German heritage and growing up in a large family. Dish & Design’s Rob Haan brings a career’s worth of experience to the company as an exceptionally innovative chef and experienced creative event planner. The team at Dish & Design is dedicated to bringing passion to every event they cater. They strive to provide impeccable service, exceptionally prepared and presented food and new and unique experiences. They have even added a mobile kitchen to their options, allowing them to cook onsite in uncommon and sometimes breathtaking settings. In addition to spectacular food and presentation, Stief personally ensures that the journey planning the catering event is a success. Even the inevitable last-minute changes – planned or unplanned – are managed to appear seamless to guests. 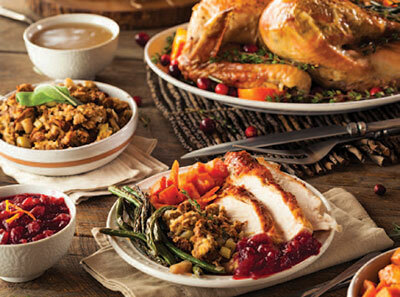 This holiday season, Dish & Design offers traditional Thanksgiving menus for corporate and private clients, ranging from a private dinner for five to corporate meals to serve 1,000 people. Set menus and appetizer packages are available, and staff can assist in custom menu planning as well. “Why wait until Christmas to get together for a special meal, whether it’s with family, friends or co-workers? It’s the holiday season – such a fun and exciting time around here with lots of parties and holiday cheer, and we can help with them all,” Stief commented. November and December are the most popular times for companies to say “thank you” to their employees or clients with a meal. The Dish & Design staff can assist with full-service catering and events throughout the season. 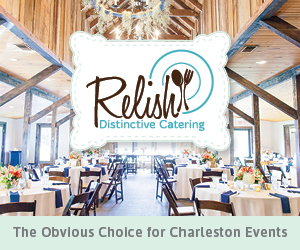 Visit dishanddesign.com/Charleston or call 843-971- 6701 to book your holiday catering today.